'Seek the Tiger,Find the Jungle' So goes the catchphrase of a Jungle Resort advertisement along with a picture of a tiger which in turn is made up of pictures of a number of other animals.The first time I saw that ad I was totally enticed by it.I decided then itself that I would someday go on a jungle safari to spot a tiger.That was a year back and just three days back i visited the Achanakmar Wildlife Sanctuary near Bilaspur to try my luck at spotting a tiger.I did a lot of research,studied maps,dug out old info from the internet and carefully planned our trip.Here goes my trip report. Satya and myself started off from our hostel at 7 30am and arrived at raigarh by 9am.Then we boarded the azad hind express and reached bilaspur by 12 noon.Our car was waiting for us and after having breakfast and doing some shopping for the trip ahead of us we started at around 1 30pm.Midway we decided to skip lunch and head directly to achanakmar village and take the afternoon safari which starts at 2 30pm.The distance from bilaspur to achanakmar is around 60km and we reached achanakmar by 2 45pm.To our dismay we found that the Gypsys available with the Forest Dept were already booked and we had to take our own vehicle with us.The cost for private vehicle is Rs1300 and for the gypsy it is Rs2000.Diesel Vehicles are not encouraged here though they allow them.We completed the formalities at the gate and a guide was allotted to us.Every vehicle is allotted a guide and it is mandatory to take one.So with our guide we made our way inside. The path inside is a kacha road with two distinct ways for the tyres on each side with some growth of grass in the middle.Half an hour into the forest we came acros a village called Sarasdol.It is a beautiful little village.A little ahead there is open area with knee length grass all around..Our guide tells us that this in this area there is high probability of spotting animals.We saw a whole bunch of monkeys lazily sitting in the grass.The animals come here to sit in the sunshine.This is the only time we got the opputunity to get down from our car. We stopped by an anti poaching unit shelter and our guide chatted with the guys inside and tried to get the latest info about the animal movements.After this little stop we moved ahead.Sometime later we saw bisons crossing the path ahead and we stopped.The guide told the driver to switch off the engine and the driver promptly complied.We stared at the animals and took some snaps.The bisons were huge.Our guide told us that one time a bison got annoyed with a car's presence and attacked,overthrowing the whole car.We started again as soon as the bisons were out of our path. I was deeply immerse into this whole animal spotting thing and was thinking of the stories of Jim Corbett and the many other stories of man eating lions when suddenly something came underneath our tyres and gave a loud crackling sound.I jumped in excitement and fear at the same time.It was a fallen branch of a tree.I relaxed.The whole jungle atmosphere and the stories my mind was throwing up got to me and I reminded myself that I was fooling myself with all such thinking.One more hour passed and nothing showed up.It was getting dusk and light was slowly falling.Our guide then took us to the Majhidongri Watchtower.It is on a high altitude and we could see all around the forest from here.The view was spectacular.There are two watchtowers.This one and the other at Kumhipani which is inaccessible by car.From here we moved to a lake.Just fours days back a tiger was spotted here drinking water.We stopped by here and scanned the whole perimeter of the lake.Again nothing.We started off.By now light had fallen considerably and our driver had to switch on his headlights.A little ahead we saw deers.Lots of them.We stopped,took some pics which didnt come out because of the fading light.After this we reached the starting point and thus ended out first safari.At the gate the attendant told us that a gypsy was available for use the next day and we could book it today itself.After a brief discussion amongst ourselves we decided to take the it and booked it.We then moved off to a nearby coffee center.We had coffee and some snacks and then went for our resort at Shivtarai.We had some difficulty in finding it.What with the darkness all around.Green Valley Resort is located behind a High school.It offers nothing but the bare minimum.The rooms were bare.The Food was excellent though.We ordered dal,egg curry,rotis and rice.We sat outside,wearing our winter wear, in the open under the stars.The chill passed through our clothes and was making us uncomfortable.One mouthful of dal fry and roti later a comfortable warmth seeped inside.We finished our dinner and were soon fast asleep.I would suggest you book this resort as your last resort(no pun intended).Try the Forest Rest House first at shivtarai first.All the other FRHs(Lamni,Chaparwa,Achanakmar,ataria) have been closed for tourists.The only stay options are at Shivtarai and next at Amarkantak.This is in view to protect the core zone. The next day we woke up at 5am and were off by 6am.Everything was still dark and light was slowing approaching.We reached the gate and after completing the formalities a gypsy was alotted to us.Our driver excited by the previous days experiance joined us.So the five of us the gypsy driver,the guide,our driver,satya and myself started off in our gypsy.Three of us satya,the guide and myself stood on the back.This was thrilling ! It felt like those discovery shows where they go on safaris in the plains of africa. The engine hummed quietly,twigs got crushed underneath the gypsys tyres,somewhere far birds chirped and I kept my eyes glued to the path ahead of us in the hope of spotting something. On our second attempt I was hoping to catch a glimpse of a predator. ->Achanakmar Village is around 55km from Bilaspur. ->Shivtarai comes in between and is around 15km form Achanakmar WS Gate. ->We hired a scorpio from Saigal Travels from Bilaspur(9039631630).Rs1200 for One day plus Rs 8 per KM.They also offer a Gypsy with a package.Rs 6000 including 150km.Maa Travels(9827888704) are also good.I had good experience with them on my previous trip to Ratanpur. ->Bring a SUV.Sedans and Hatchbacks can't negotiate the path inside the jungle.Also a Diesel Vehicle is preferable. ->Inside tell the guide to cover the open wide area near Sarasdol,the Majhidongri Watchtower and the lake at Siwahalsagar. Nice report, but the title requires to be corrected. Dec 2014 should have been Dec 2013. You may go into the advanced Mode to correct the year. Just to know: what were the dates you did this trip? Enjoyed the report.....request to add some photos. Thanks ! Yes i corrected the date. thanks for the quick pointer. thanks! Yes i added some pics. Razzaq, you need to fix the images. 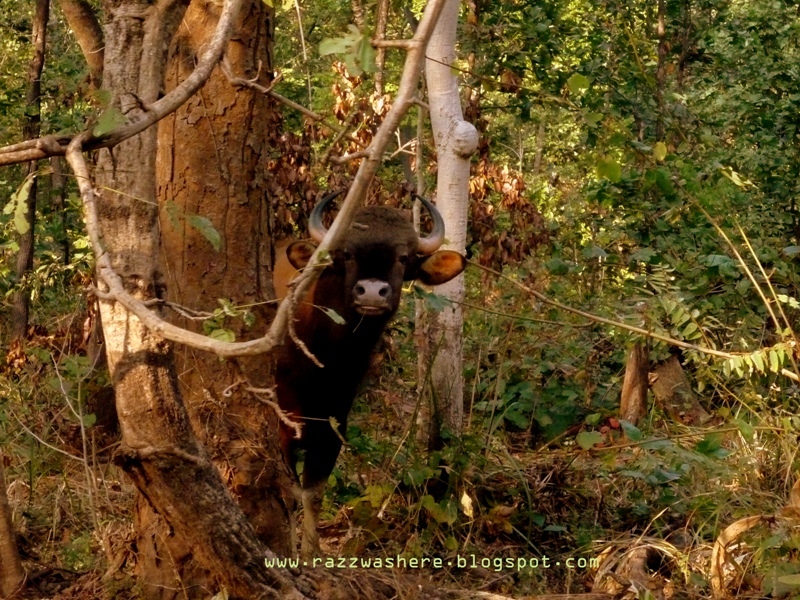 For example, you need to click the image displayed on the page, say, http://www.indiamike.com/india-images/pictures/achanakmar-wildlife-sanctuary-bilaspur-chhattisgarh you will find http://www.indiamike.com/files/images/32/01/41/achanakmar-wildlife-sanctuary-bilaspur-chhattisgarh.jpg. You are required to place this extension after clicking icon. Edit: Yes, now the images are displaying. 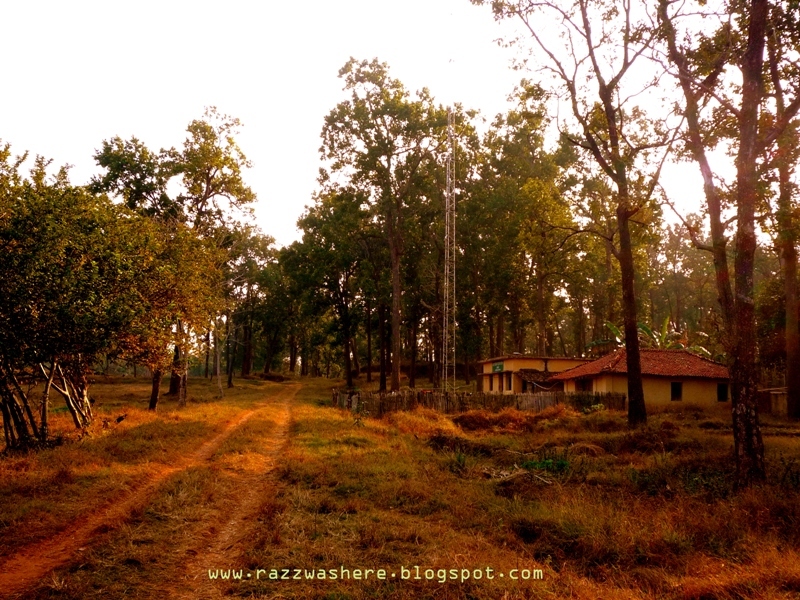 How far is the Achanakmar forest Entry Gate from Amarkantak? 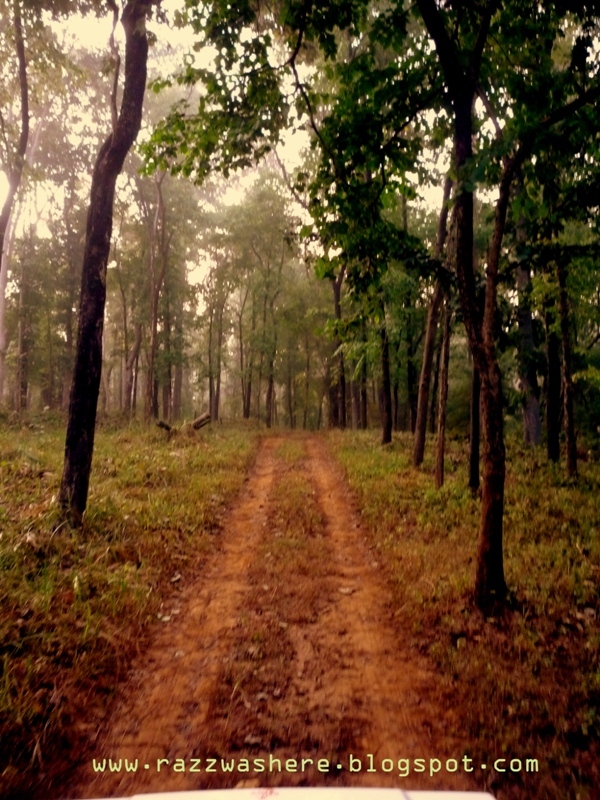 What exactly I want to know whether one can visit this forest staying at Amarkantak. 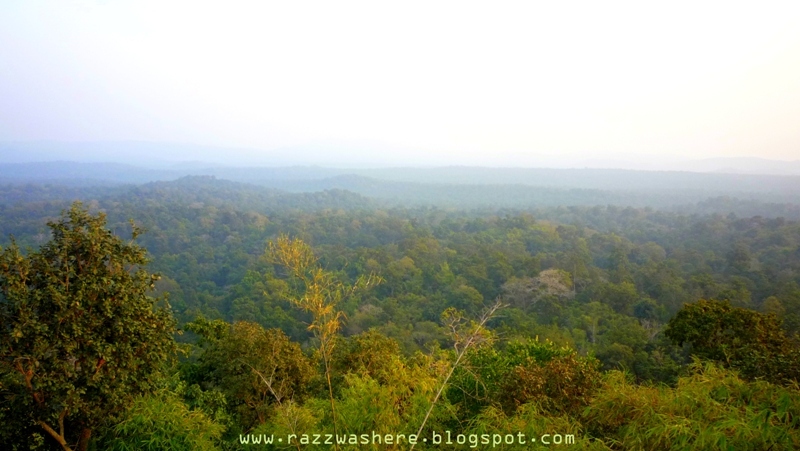 Amarkantak is Maybe around 60-70km from Achanakmar Forest Entry gate. 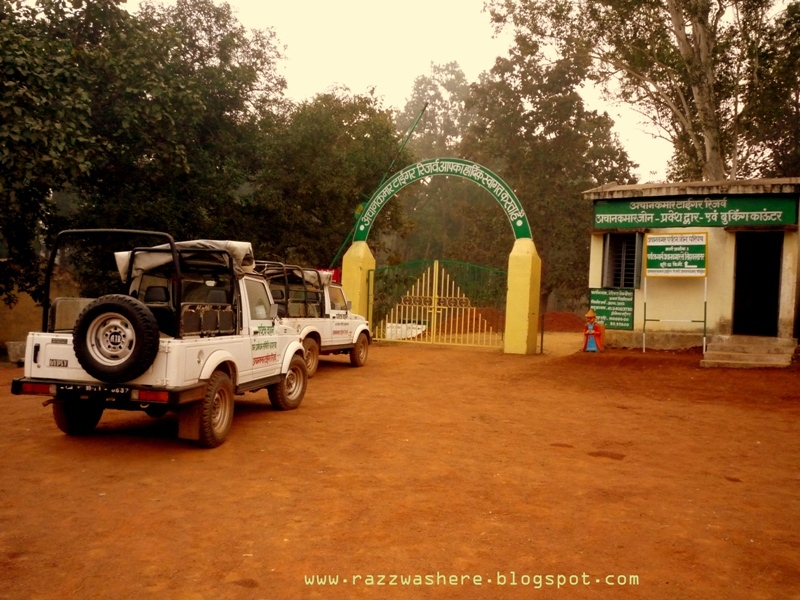 If you plan to stay in Amarkantak it will be better if you take the safari from Lamni Forest entry gate.Lamni is around 30km from amarkantak and lies on the same route which goes to achanakmar.A third option is chaparwa Forest Entry gate.BUt lamni will be nearest for you. nice report, would have liked more pictures! Are there any buses to reach Achanakmar w l s or shivtarai? Should we compulsorily engage a Car/ Vehicle from Bilaspur/ Amarkantak? i heard of some buses plying there but the frequency is unreliable and uncertain. You cant plan properly with the buses in mind.